Birthplace : Shelby, Mississippi, U.S.
Gerald Stanley Wilson is an American jazz trumpeter, big band bandleader, composer/arranger, and educator. He has been based in Los Angeles since the early 1940s. In June 2007, Wilson returned to the studio with producer Al Pryor and an all-star big band to record a special album of compositions originally commissioned and premiered at the Monterey Jazz Festival for the festival's 50th anniversary. Wilson had helped lead celebrations of the Monterey Jazz Festival's 20th and 40th anniversary with his specially commissioned works (1998's grammy nominated album Theme for Monterey). The album, Monterey Moods was released on Mack Avenue Records in September 2007. In September 2009, Wilson conducted his eight movement suite "Detroit" commissioned by the Detroit Jazz Festival in honor of its 30th anniversary. The work includes a movement entitled "Cass Tech" in honor of his high school alma mater. 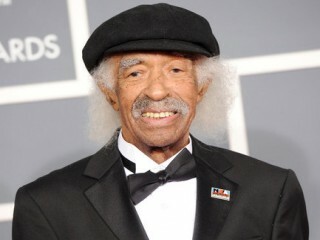 View the full website biography of Gerald Wilson.